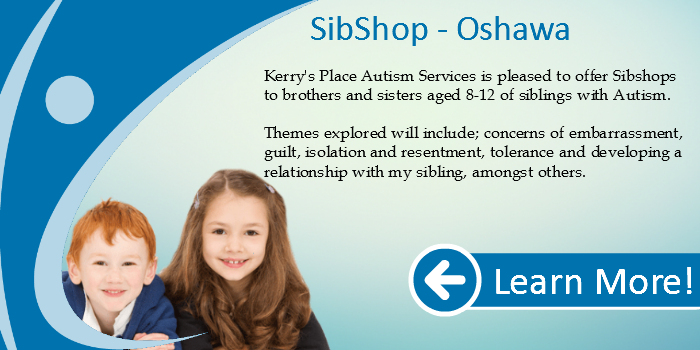 Kerry’s Place Autism Services is pleased to offer Sibshops to brothers and sisters aged 8-12 of siblings with Autism. An opportunity to meet other siblings in a safe, relaxed, structured environment. Opportunities to discuss common joys and concerns with siblings who have a sibling with Autism. An opportunity to learn how others handle situations commonly experienced by siblings. An opportunity to learn more about the implications of their sibling’s special needs. Themes explored will include; concerns of embarrassment, guilt, isolation and resentment, tolerance and developing a relationship with my sibling, amongst others.